Hello lovelies! I hope you are having a wonderful Tuesday (or whatever day you are reading this)! 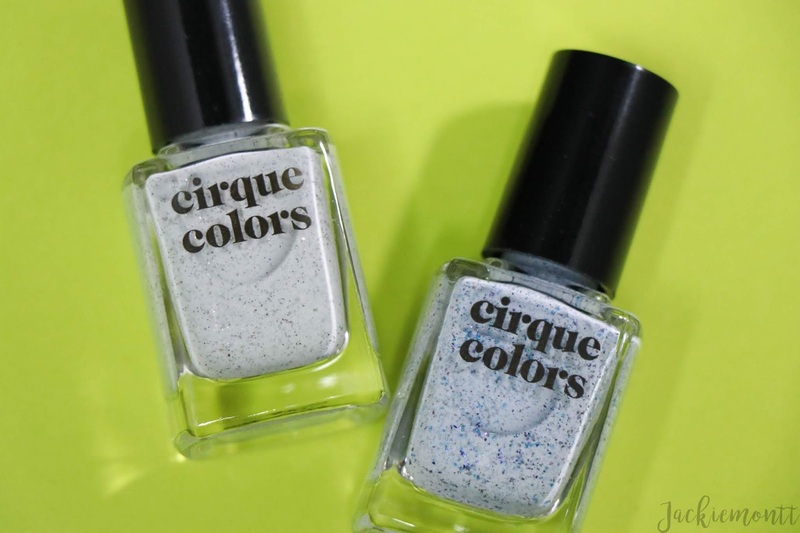 Today I have two gorgeous Cirque Colors polishes from their speckled polish range. If you have been with me for a while, you'll know I featured two of these kinds of polishes last year in my first New Hues series. After trying out those two, I KNEW I had to have more. If you don't remember, their speckled polish formula is made with irregular-shaped flake pigments which gives it a unique, spotted finish. So keep reading to see my thoughts on two more speckled polishes! 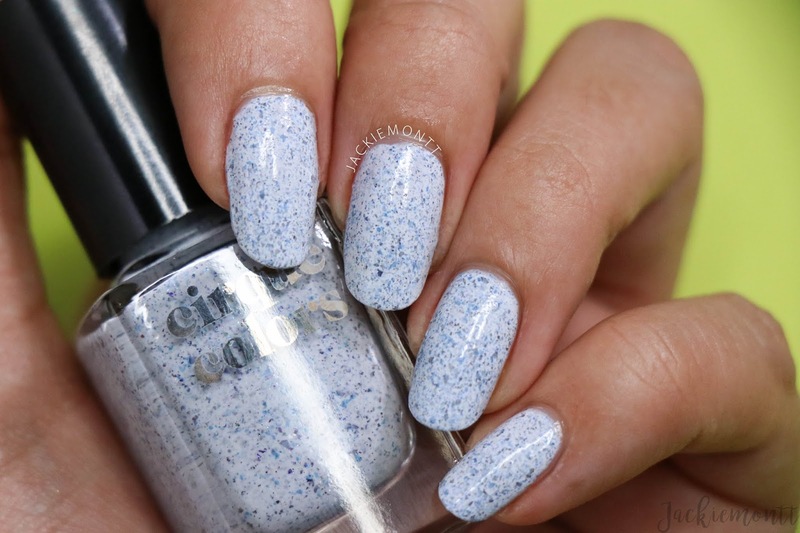 ACID WASH | Acid Wash is a pale blue nail polish with denim-inspired blue specks, and a polish that I have had on my nails since I did these swatch pictures. It was just so beautiful, I had to keep it on! I love how unique this looks, and I have gotten a thousand compliments on it already! This was 2 easy coats for full opacity. HATCH | Hatch is a white nail polish with fine black specks, and when I look at this polish it reminds me of cookies and cream ice cream! 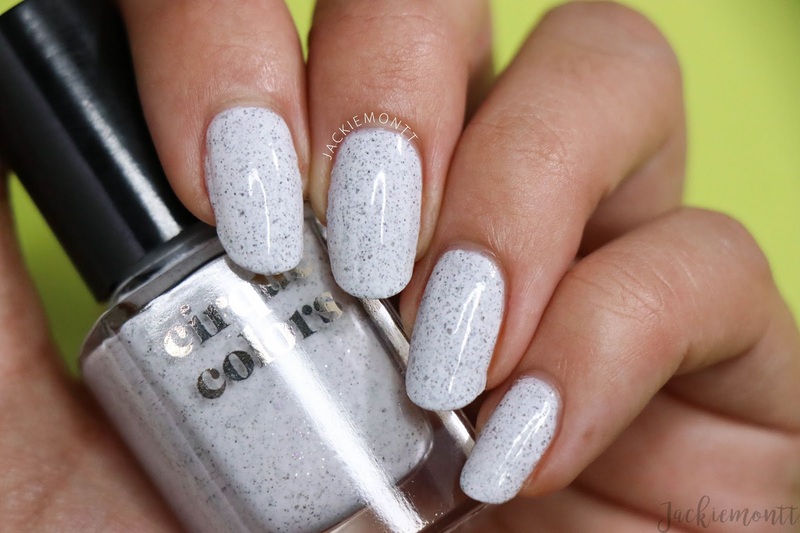 I love how delicate this speckled polish is, and I definitely see myself wearing this a lot this winter. This was 2 easy coats for full opacity. The formula on these was buttery smooth, ultra shiny, and just fun to apply because of the unique flakies in there. I love this formula, and it's uniqueness makes them some of my favorite polishes. I cannot wait to see what other color combos they come out with! 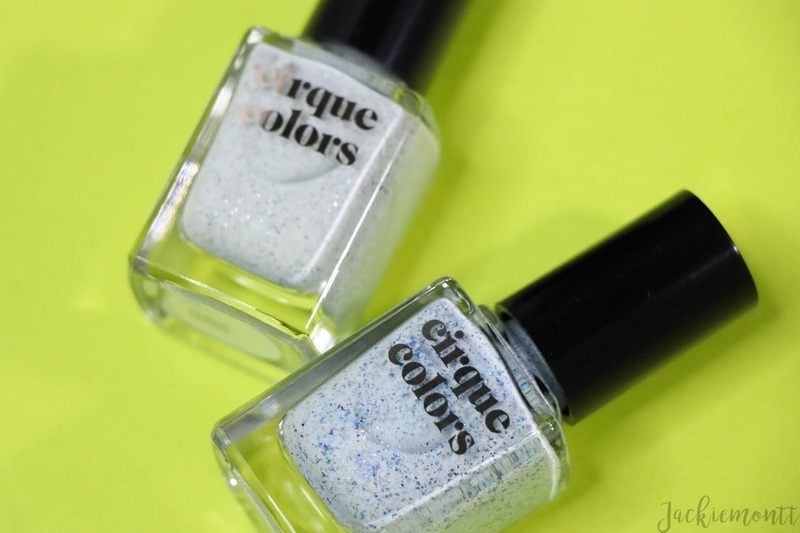 You can pick up each of these polishes from www.cirquecolors.com for $12.50 each.